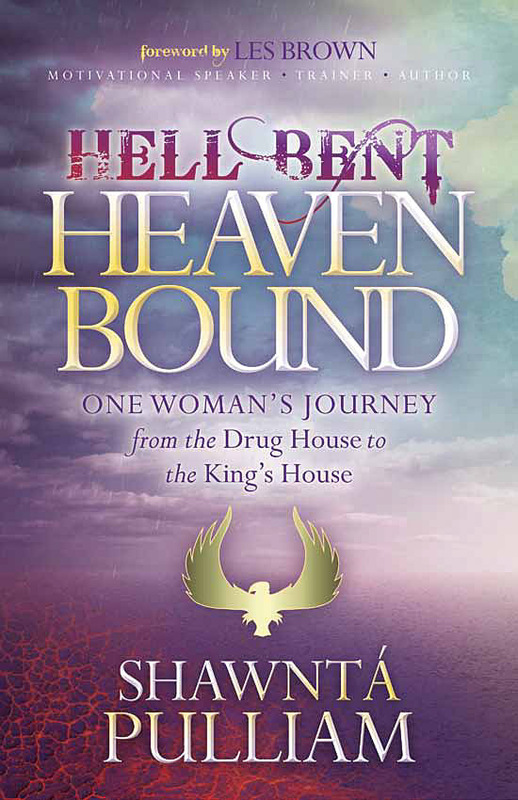 Pre-Order "Hell Bent Heaven Bound"
What if wrapped beneath your deepest struggles were the makings of your biggest triumphs? What if you truly looked at your life—the good, the bad, the ugly—and determined that the purpose of every experience wasn’t merely survival, but something far more valuable? What if your hardships produced a greatness within you that would have gone undiscovered had you not suffered and paid a price that cost you deeply? Growing up in a neighborhood where crack cocaine and prostitution coexisted alongside a gospel-preaching old woman named Sister Lou, Shawntá Pulliam saw the futility of life around her in the “hood” yet knew deep inside she was born for something more—something great even. “Who is this Man my grandmother clings to at night as she bends her knees and closes her eyes?” she wondered as a child, repeating the prayers her grandmother taught her. Still, with a drug-addicted mother and a father behind bars, the pull of the streets and deep emotional wounding took their toll, and she easily fell in with a crowd hurtling headlong in the wrong direction. A nervous breakdown that led to her breakthrough revived Shawntá’s faith and stirred up the gifts He had planted in her long ago. Propelled by that faith, she watched as God opened door after door for her to walk through. Following her heart-cry, she eventually founded an organization called Nurturing Hearts for at-risk girls ages ten to eighteen. In Hell Bent, Heaven Bound, Shawntá Pulliam reminds us all that God uses the things we like least about ourselves—and breathes purpose into them. As we submit to His way of thinking through prayer, meditation, and believing His Word, we too can become the women and men He created us to be.